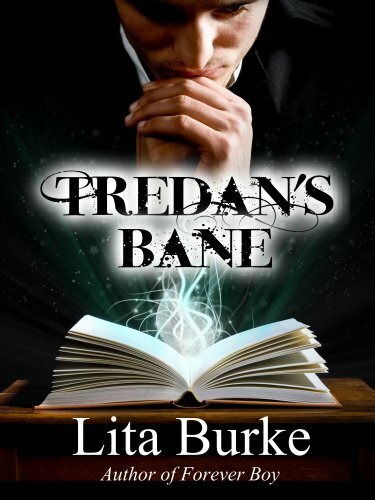 Click here to buy Tredan's Bane or to read additional reviews! Brief synopsis: Lanith has been thrown into turmoil when her curio shop is burned to the ground and her husband Tredan goes missing. She keeps a promise she made to him to seek out the Enchanters and ends up inside a magical world that is full of danger as someone seeks to destroy the Enchanters and their magical essence. Lanith discovers that it is Tredan's journal that is at the root of the current evil and center of attention so she must find a way to find it and protect it. Originality: I loved this story because of its creativity, magic and originality! Magic essence and spells around every corner! Ghosts from the Fields of Yalu, who you can visit if you have a couple good enchanter friends to bring you back. Charms and amulets! Tredan's Bane is packed full of fantasy fun! Characters: I enjoyed the variety of characters in the story and they were all well developed, even Tredan, who is lost in the Fields of Yalu. My favorite was Arnl'jhott, the adorable and so sweet dragonette-I was almost crushed. I enjoyed Sciomancer Taavi, the Ghostchanter as he struggled under the villainess Samirah's control. SPOILER: Now...Lanith was quite a character. I guess magic essence can make a girl do anything, including mourn for her husband at the same time she is gallivanting all over town taking magic kisses from everyone who crosses her path and wanting to bed her enchanter. This back and forth is the one reason I gave this book a 4 instead of a 5 star. They haven't even had a funeral and she's moving onto her next great love. Granted, I don't want to spend a whole book in mourning but this just went to fast for me to be believable. Again, magic can make a person do strange things - including professing their love of donkeys! Loved that spell. That said, I liked her character and her drive to tackle the evil that hung over all of them. Recommendation: Tredan's Bane goes well with exquisite sushi with edible orchids and a glass of wine. This book is well polished and I highly recommend it for readers who love fantasy books filled with magic at every turn...oh and kissing. p.s. If you enjoyed this post, please click the g+1 button below here, or reshare so that others may enjoy the post, too!